Most of people think childhood is the happiest time of their life. I am agree with this point of view. Childhood is a state of time being child that is full of fun. Children almost enjoy whole of their time. Children's life is free from some responsibilities and challenges of the adulthood, they never think about what people think, they just do what they like. They don't live with the competitiveness like adult's life. Today we are sharing some Best Quotes On Childhood hope you like. 3) Sometimes, it’s better to bunk a class and enjoy with friends, because now, when I look back, marks never make me laugh, but memories do. 4) I miss being a little kid with no stress, worries or care in the world. 5) That sad moment when you realize your childhood is over. 6) Memories of childhood were the dreams that stayed with you after you woke. 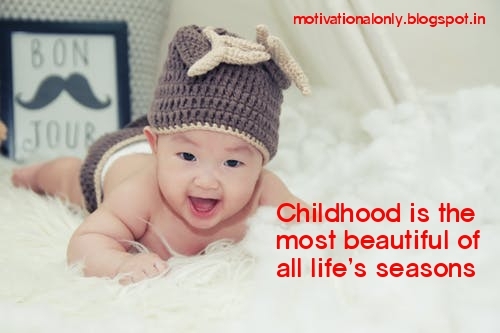 7) Childhood is the most beautiful of all life’s seasons. 8) There is no land like the land of your childhood. 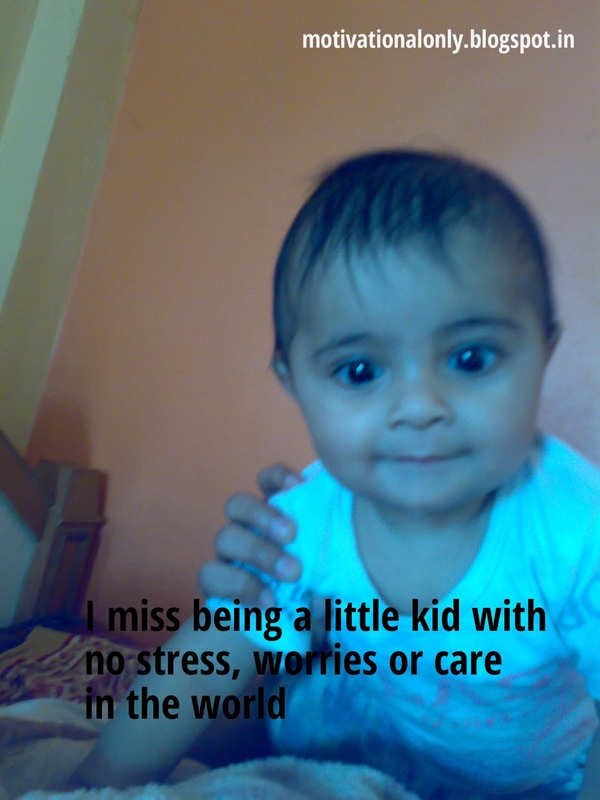 9) Childhood means simplicity. Look at the world with the child’s eye – it is very beautiful. 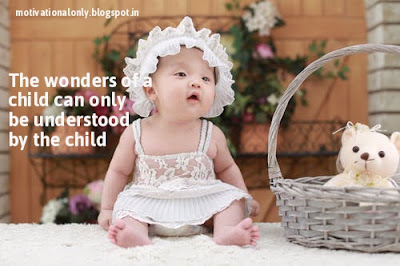 10) The wonders of a child can only be understood by the child. 11) The child I was, is just one breath away from me. 12) Childhood is the world of miracle and wonder; as if creation rose, bathed in the light, out of the darkness, utterly new and fresh and astonishing. 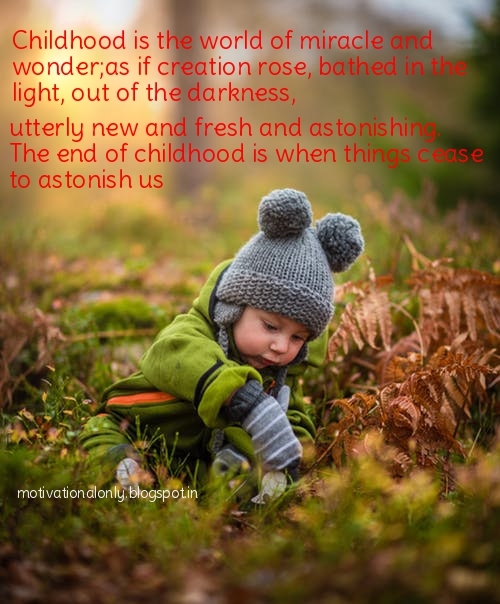 The end of childhood is when things cease to astonish us. This site is open to comments and your comments are very important to me. I want to reply each comment personally, please bear with me if it takes sometime for me to reply. The quotes offered on motivationalonly.blogspot.com are for information purposes only. Our main purpose is to give inspiration to our visitors through our posted quotes. If we are infringing on anyone's copyright, please contact us by sending email on [svaishali1985@gmail.com]. We will either remove the material or give credit to the deserving party.